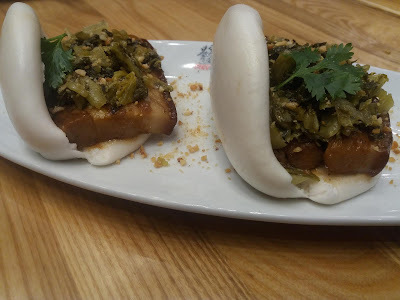 There is a new, upbeat Taiwanese restaurant in BGC and it is Fat Fook's 5th branch in Manila. The blue and white porcelain bowls and plates make up the restaurants instagram-worthy facade at The Globe Tower. Its artistic and cozy interior exudes gives a comfotable vibe that contributes to an enjoyable experience. 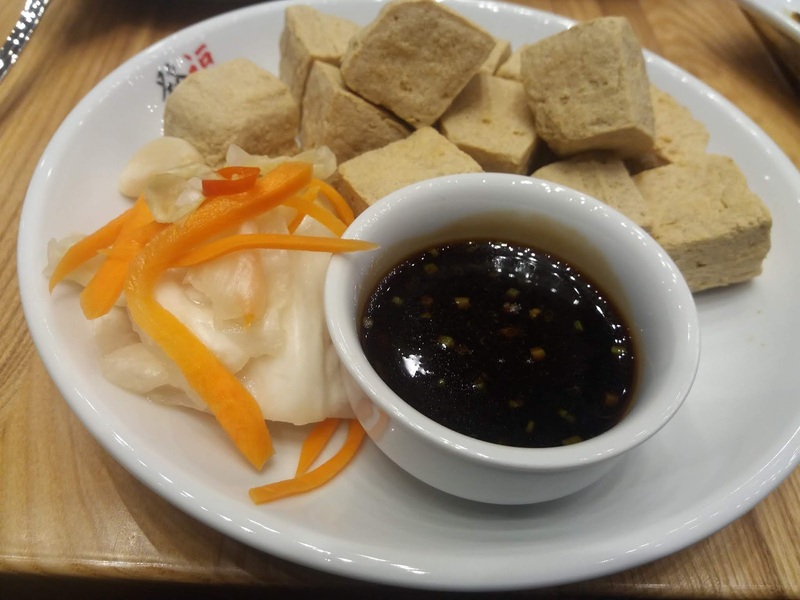 I have tried authentic Taiwanese dishes in the past and the stinky tofu is one of them. 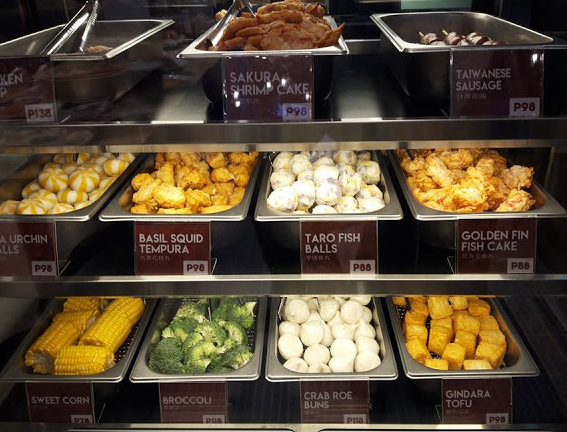 Now Fat Fook serves authentic fare conceptualized by executive chef Rachel Kao, who was born in Taiwan and raised in Manila. Fat Fook directly translates to "big blessings" or "fat luck". And Fat Fook started serving its authentic Taiwanese dishes in 2016. The authebtic recipes were passed on by Chef Rachel's parents to her and she culinary twist to make the dishes even better for Fat Fook, to suite the local Filipino palate. 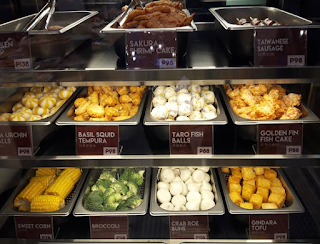 Fat Fook offers the closest to Taiwanese degustation as the ingredients are directly sourced fron Taiwan. I was glad to join the media launch and experience what Fat.Fook has to offer. 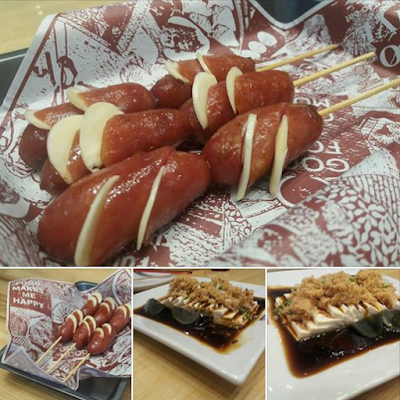 Taiwanese Sausage (P 328) are meaty and flavorful skewers on the sweet side with raw garlic slivers inserts! These Taiwanese Sausages had the right kick of spice because of the raw garlic. 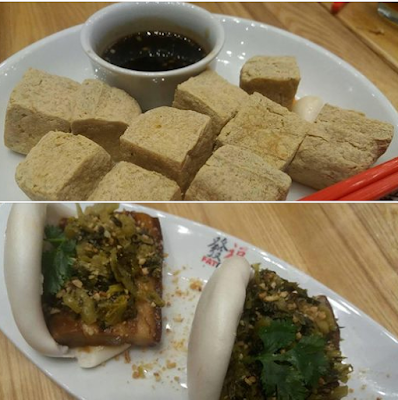 Tofu with Century Egg and Pork Floss is another appetizer to perk up the dining experience. This is my first time to try it and I super love its silky texture. The pork floss and the century egg add flovor and texture to it. The sauce is a good complement that makes you look forward to the next dish in line. 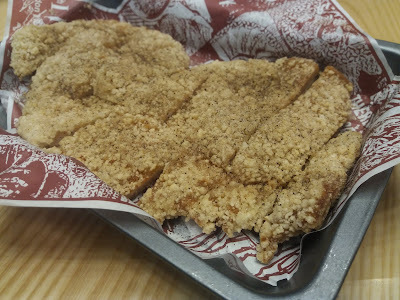 Fried Stinky Tofu (P 228) is one fare you should never miss the chance of eating in Taiwan. And Fat Fook guarantees you will be having exactly how it is served in Taiwan. you dip it in the condiment and eat it together with the complementary pickled vegetable side dish that conrs with it. Cua Pao (P 228) combines the good taste of the siopao bun with a thick slab of meat. The messy fillings incites a fun way to eat it. 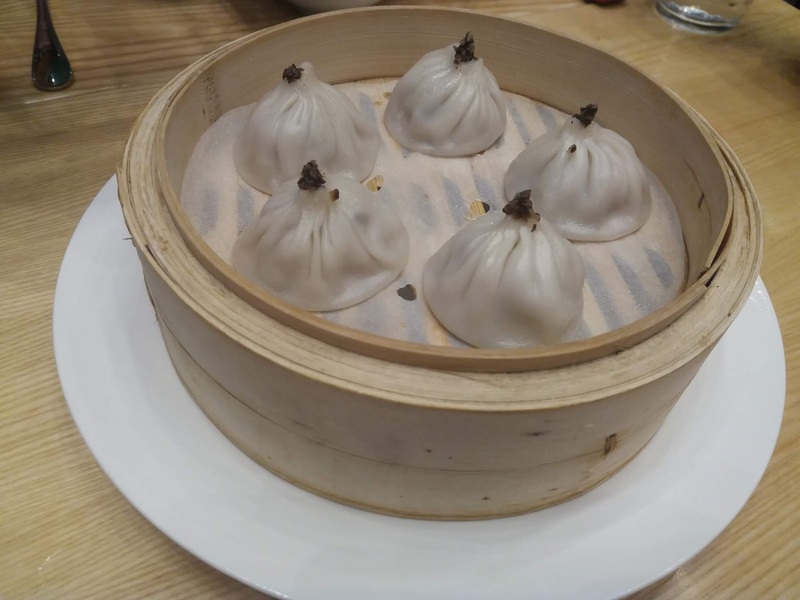 I love Xiao long Bao. 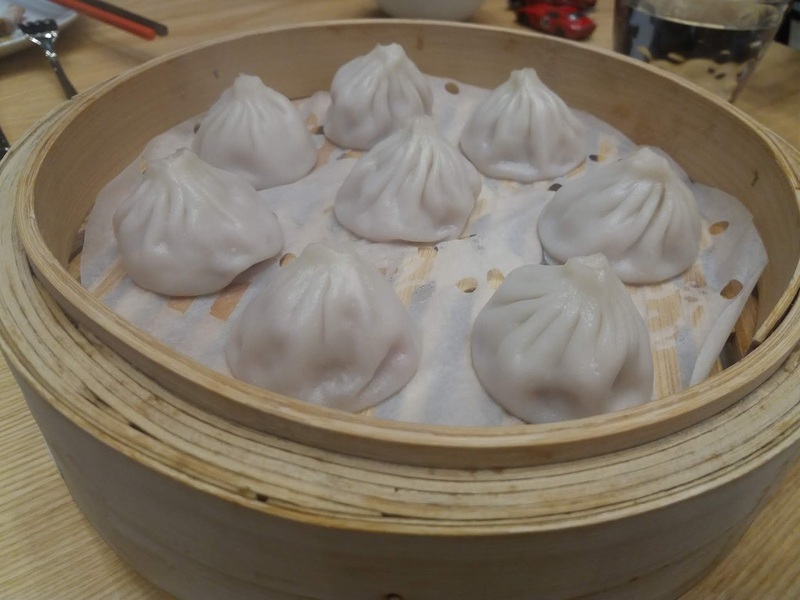 This a soupy dumpling is so good that you'll definitely ask for seconds! The pork meat inside was flavor-packed! It cones with black vinegar and ginger dip. Truffle Xiao Long Bao (P 198 for 5pcs, P 318 for 8 pcs) is sonething you should try! It is bursting with tryffle flavors! It tastes good even without any sauce. 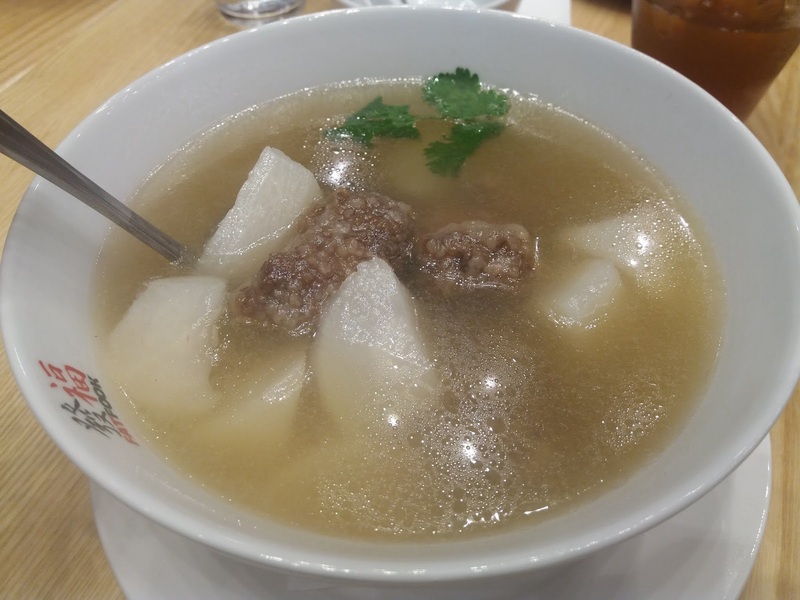 Intestine Misua (P 98) offers a comforting bowl of misua perfect for the rainy days. The intestine reminds me of chewy "goto" taste. I didn't know that it goes well with misua. Pork Spareribs Radish Soup.gets its flavor kick from steamed deep-fried, marinated ribs! Fat Fook Chicken Chop (P238) is one of Fat Fook's signature dishes. This breaded chicken fillet cones in seasoned with salt and pepper. It is deep fried to perfection. The crunchy batter add texture to every bite without compromising the meat's juices. You have the option to choose between the Cheesy Chicken Chop and the Spicy Chicken Chop. 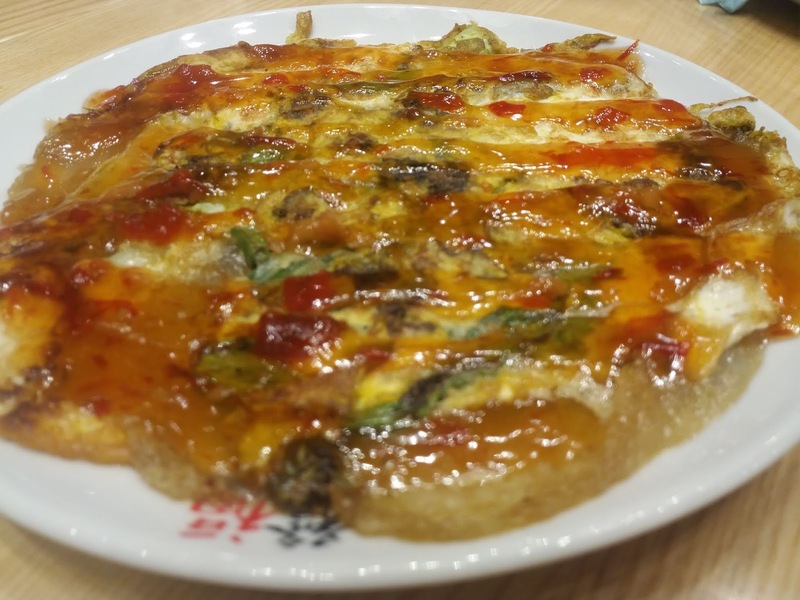 Oyster Omelette (P 258) is classic Taiwanese street food flavor-packed with oysters, Taiwanese petchay, and a thick egg wrap. It comes.in rizzled with savory sauce that adds a sweet umami taste. Get ready for.Fat Fook's extensive menu. It has something to offer for everyone in the family and this makes it a perfect place for get-togethers and celebrations. 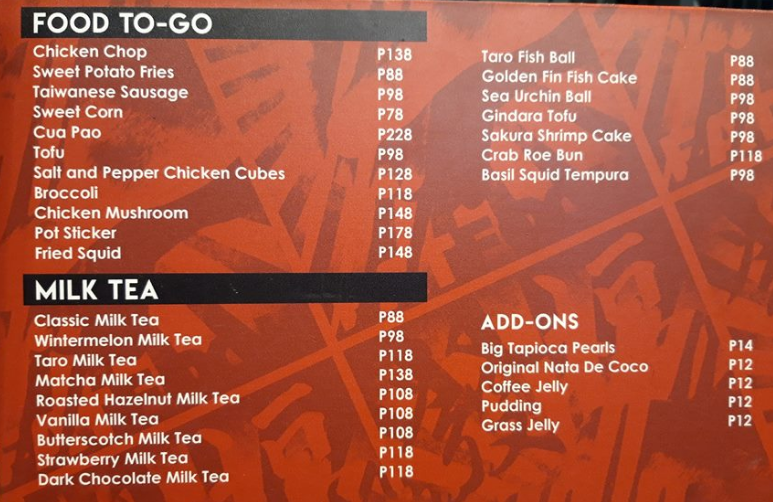 Do check out Fat Fook's Take Out counter when you're there. They have a wide variety of milk teass like Classic, Wintermelon, Taro, Matcha, Roasted Hazelnut, Vanilla, Butterscotch, Strawberry, and Dark Chocolate. 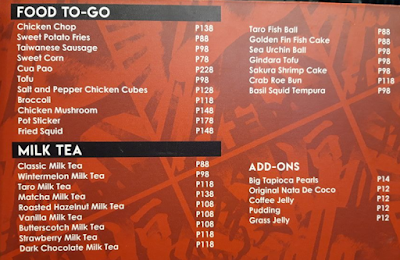 Choose your sinkers and add-ons from pearls, nata de coco, coffee jelly, pudding, and grass jelly are also available. 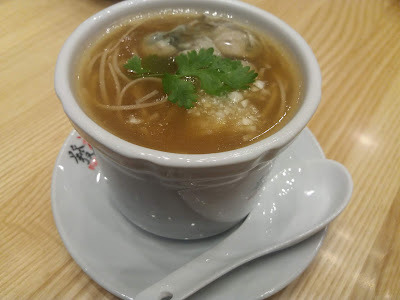 Fat Fook Restaurant serves Taiwanese dishes in a clean environment coupled with good, attentive service. Do visit them soon.